On March 30, 2008, Lexington Books published Breaking the Ice: From Land Claims to Tribal Sovereignty in the Arctic by Barry Scott Zellen. 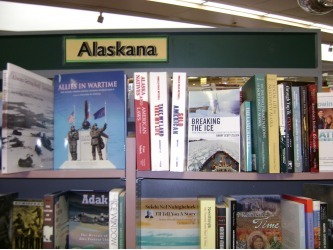 BTI examines the Native rights movement in Alaska and the Canadian Arctic and the evolution of land claims policy as it crossed the international boundary, becoming a powerful tool for Native people to reclaim their heritage and re-empower themselves politically, while at the same time becoming stakeholders in the economic modernization of the North. On November 16, 2009, the sequel to Breaking the Ice, titled On Thin Ice - The Inuit, the State and the Challenge of Arctic Sovereignty, was published! And two of my very favorite Arctic experts, University of Calgary political scientist Rob Huebert, and Edmonton Journal journalist and author Ed Struzik, participated: Huebert has authored a guest foreword to the work, introducing the topic of Arctic sovereignty to the readers and framing the analysis that follows; and Struzik, himself a prolific author on the Arctic and the prescient visionary who predicted the "End of the Arctic" in the early 1990s, has authored an afterword, sharing his reflections on Arctic sovereignty, the topic of his next book. My third Arctic book, Arctic Doom, Arctic Boom: The Geopolitics of Climate Change in the Arctic, was published by Praeger on October 13, 2009! 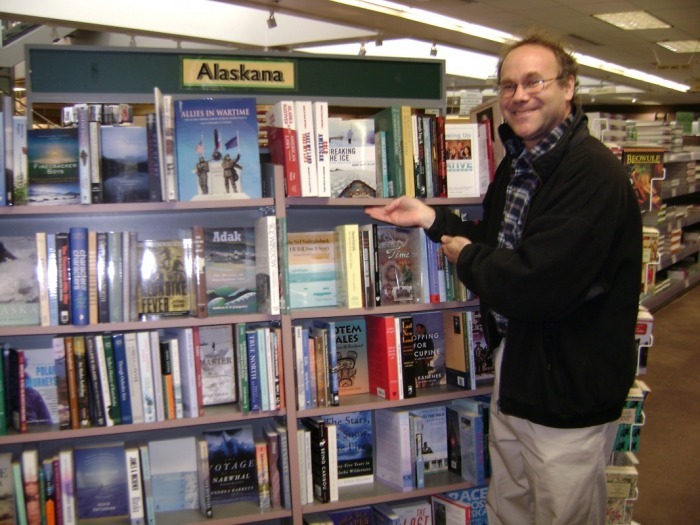 Former Alaska Governor Walter Hickel kindly agreed to introduce the work with a discussion of the "Day of the Arctic," and Professor Dan Moran of the Naval Postgraduate School has very kindly authored a foreword discussing the increasing strategic importance of the Arctic basin. It examines the geostrategic challenges and opportunities of a polar thaw, and imagines what the "post-Arctic" world might be like. 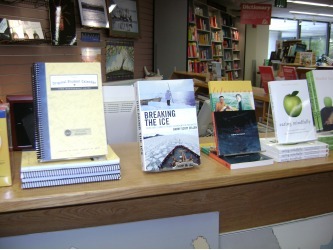 In August 2011, Praeger Security International (PSI) published my four-volume set on the convergence of political, strategic and IR theory around the nexus of constructive realism -- the millennial effort by theorists across history to render chaos to order with the stroke of a pen. This sweeping reinterpretation of realism was originally called States of Mind: The Realist Tradition and Foundation of Western Order, with its four volumes titled State of Hope;State of Fear;State of Awe; and State of Siege. It is now known as The Realist Tradition in International Relations: Foundations of Western Order with the same four volumes on humanity's states of hope, fear, awe and siege. Rated: 4 of 5 stars on Goodreads.com: "Heavy reading. Zellen has a writing style that strikes a balance between scholar and poet as he traces Realism from Thucydides to Hitler." My eighth book, State of Doom: Bernard Brodie, the Bomb, and the Birth of the Bipolar World was published in December 2011. It explores one of the greatest strategic minds of the 20th century and the chief intellectual architect of the nuclear age, and his efforts to not only reintroduce a new generation of students to the classic work of Carl von Clausewitz, but to apply Clausewitzian theory to the unique dangers of the nuclear era. State of Doom explores Brodie’s evolution as a theorist and his response to the technological innovations that transformed warfare from WWII to the Vietnam War. It situates his theoretical development within the classical theories of Carl von Clausewitz (1780-1831), as Brodie came to be known as “America’s Clausewitz.” While his first influential works focused on naval strategy, his most lasting impact came within the field of nuclear strategic thinking. Brodie helped conceptualize America’s strategy of deterrence, later taking into account America’s loss of nuclear monopoly, thermonuclear weapons, and intercontinental missiles. This in-depth exploration of Brodie’s strategic and philosophical response to the nuclear age and of his effort to reconcile Clausewitz’s theories to the new challenges of the nuclear era will make this book a must read to anyone in strategic studies, international relations, and philosophy of war. 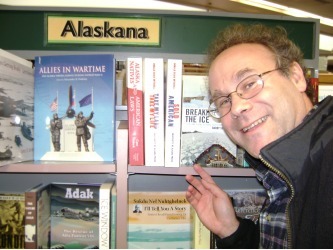 _In June 2012, Continuum Books published my newest work on strategic theory, The Art of War in an Asymmetric World: Strategy for the Post-Cold War Era, which examines the rise of the movements against globalization, modernization, and Western dominance that followed the collapse of the bipolar world at the end of the Cold War. In January 2013, I published my tenth monograph: State of Recovery: The Quest to Restore American Security after 9/11 (Bloomsbury Academic). It's a retrospective on the ten years of technology and policy innovation that followed the September 11 attacks, as technology, security and policy professionals came together to redress the many homeland security challenges confronting America after the Twin Towers fell. In the decade that followed 9/11, technologies and technology policies became central to homeland security. For example, the U.S. erected new border defenses with remote sensors and biometric scanners, and deployed new autonomous air warfare capabilities, such as the drone program. Looking at efforts to restore security after 9/11, the work examines issues such as the rise in technology spending, rising concerns about mass terror, and America's efforts to ensure that future strategic clashes will take place far from the homeland. Operation Iraqi Freedom, Iran's emergence as nuclear threat, and North Korea's acceleration of its missile program are also analyzed along with the "axis of evil" construct and America's effort to create a ballistic missile shield. By focusing on various technologies and related policies of homeland security, this work offers a unique, comprehensive and needed survey that will appeal to anyone involved with the study and development of homeland security, counterterrorism and counterproliferation strategy. 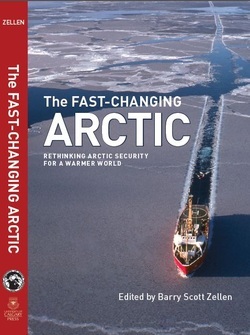 The Fast-Changing Arctic: Rethinking Arctic Security for a Warmer World, my 11th book and first edited volume, came to press on June 26, 2013! In this timely new book, international scholars and military professionals come together to explore the strategic consequences of the thawing of the Arctic. Their analyses of efforts by governments and defense, security, and coast guard organizations to address these challenges make timely and urgent reading. Rather than a single national perspective, this anthology brings together circumpolar viewpoints from Europe and North America for an integrated discussion of strategic military, diplomatic, and security challenges in the high North. Thoughtful analyses are included of different regions, climate issues, institutions, and foreign and security policies. I am pleased (and relieved!) 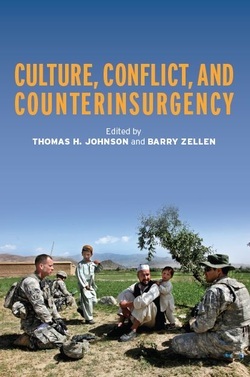 to announce that my 12th book, and second edited volume (my first to be co-edited), on the anthropological and cultural dimensions of counterinsurgency with case studies drawn from South Asia -- Culture, Conflict and Counterinsurgency -- was published in January 2014 by Stanford University Press, with contributions from leading theorists of applied anthropology, counterinsurgency strategy, and the cultural dimensions of international conflict. Our authors believe that a more enduring victory could have been achieved in Afghanistan. However, to secure it we would have to better understand the cultural foundations of the continuing conflicts that rage across Afghanistan and neighboring Pakistan, and shift our strategy from an attritional engagement to a smarter war plan that embraced these cultural dimensions in a more systematic and less piecemeal fashion. They examine the nexus of culture, conflict, and strategic intervention, and attempt to establish that culture is of vital importance in a national security and foreign policy context, while exploring how cultural phenomena and information can be better used by the military. Our authors address how intimate cultural knowledge must be developed and fully leveraged to counter an insurgency effectively. The authors also endeavor to assess how we've been at building and utilizing cultural understanding in Afghanistan; what the operational impact of that understanding has been -- and importantly, what we must improve to maximize our use of cultural knowledge in preparing for and engaging in future conflicts. 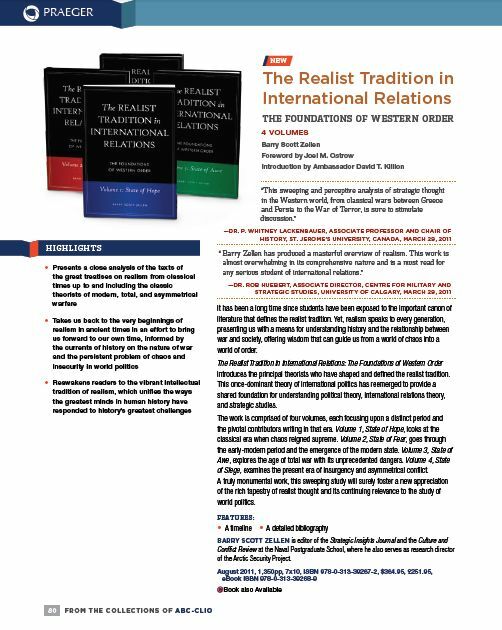 I am thrilled to announce my latest project -- a collaboration with my friend and colleague Alan Tidwell, Director of Georgetown University's Center for Australia, New Zealand and Pacific Studies where I am presently a nonresident senior fellow -- was accepted for publication by Routledge Books in August 2014, and came to press on October 12, 2015 -- 523 years to the day after Columbus famously (and for America's first peoples, tragically) made landfall in the Americas. A Dream Come True! 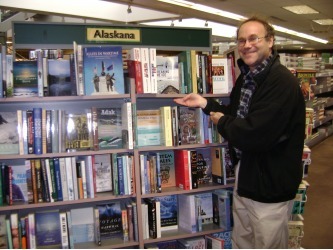 My First Book Store: On the Shelf at UAA Bookstore, September 2008!